Apple had actually bought what it thought was the global trademark to the iPad from IP Application Development in back in 2006. However in October, Proview decided to sue Apple for trademark infringement, claiming that it still had the right to use the name iPad in China. The big question is: What will Apple do next? It could appeal the patent court decision but its more than possible that a Chinese court could rule in favor of a China-based company rather than give the iPad Chinese trademark to a US corporation. Apple could also pay what could be a huge amount of money to settle the lawsuit with Proview and gain the trademark in that way. 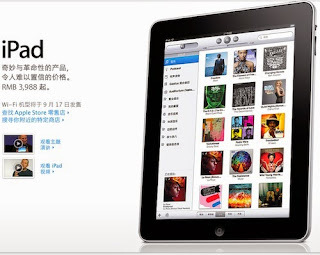 The final, and not optimal, solution for Apple is simply to sell the iPad via another name in China.